Rent villas in Kiotari, Rhodes with private pools. Book affordable holiday rentals that are near a beach and golf course. 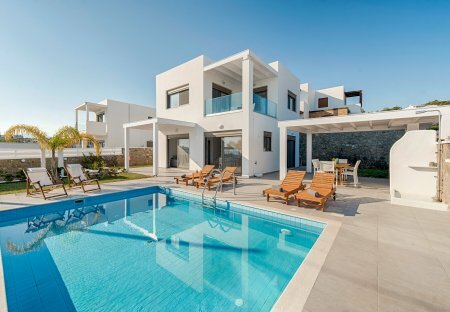 Villa Sea La Vie is an ideal choice for couples or families who want to spend precious, private moments and quality time under the Greek summer sun and the amazing endless blue of the Aegean Sea. Avra Villa is a beautiful property in Kiotari, southern Rhodes. It hosts up to 6 guests in three bedrooms and comfortable double sofa-bed. A beautiful modern house at the traditional village Asklipiio. The house has all comforts and has 3 bedrooms(4 beds) , 1 living room , free inside parking , big patio and garden.